Discover or rediscover this French classic recipe thanks to Comtesse du Barry. 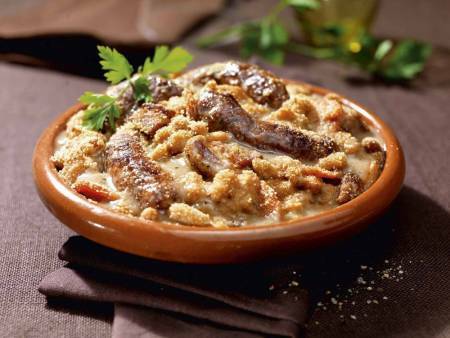 The Cassoulet Gimontois is a traditional French dish, made of white bean stew, confit pork loin and the famous grilled sausage of Toulouse. 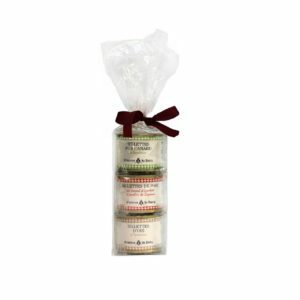 The beans are of ‘the lingots’ variety, known to be the best white beans, and have been selected by hand for optimal quality. 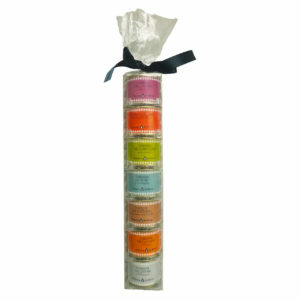 Each Comtesse du Barry meals are prepared by French Chefs in the South West of France following traditional methods. Comtesse du Barry Cassoulets are low in fat and are best served with a side of garden salad. 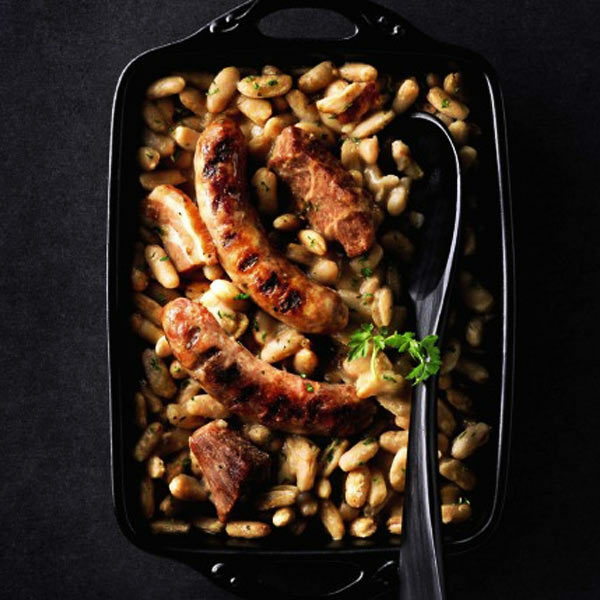 The Cassoulet Gimontois is a traditional French stew which contains white beans, confit pork loin and the famous grilled sausage of Toulouse. Those beans are a variety called ‘lingots’ and they’re hand picked for optimal quality. As a result they’re known to be the best white beans. 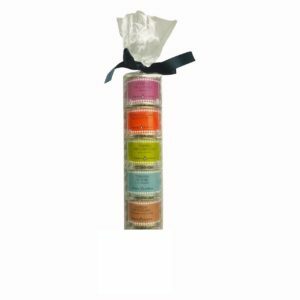 Each meal is prepare in the South West of France by chefs who follows the traditional method. 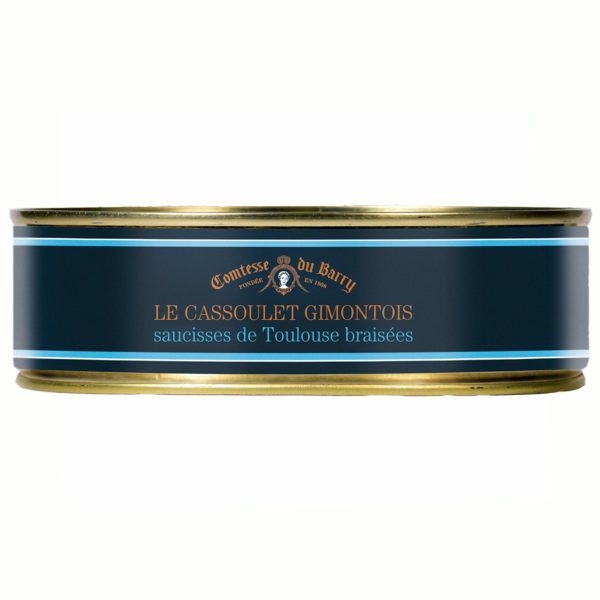 Comtesse du Barry Cassoulet is low in fat, and it is better accompanied with a side of salad. Lingots white bean (35%), water, 2 hand grilled sausages of Toulouse (17.5%), pork loin (origin: France), dried pork belly, onion, wheat starch, garlic, salt, duck fat, parsley, tomato concentrate, salt, pepper.